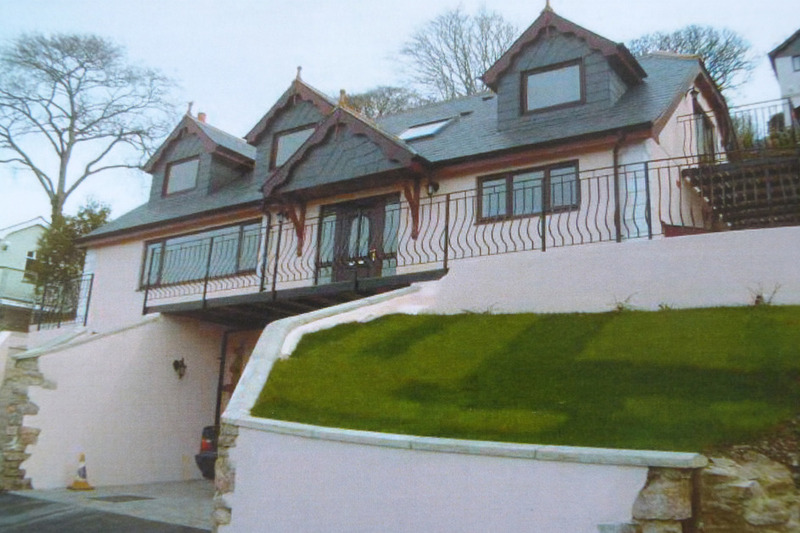 A unique project for the Newton Abbot Area providing a very stylish, sophisticated and comfortable home situated within the traditional walls of what was once the kitchen garden of Daracombe Hall, Highweek. This new property blends seamlessly into its surroundings and provides an energy efficient home built to the highest standards. Pavilion has been awarded the Devon Building Control Award 2012 for quality and sustainability for this new development. The house itself sits within a half an acre walled garden site within which we have created a new build that offers a stunning, beautiful home with easy maintenance and lower running costs. 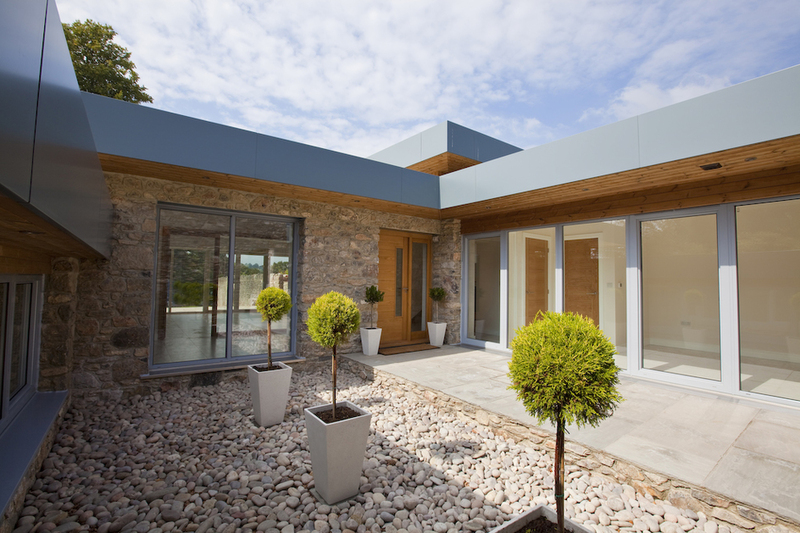 The property has a striking, contemporary exterior with powder coated aluminium windows, doors and fascias combined with the natural limestone of the area. 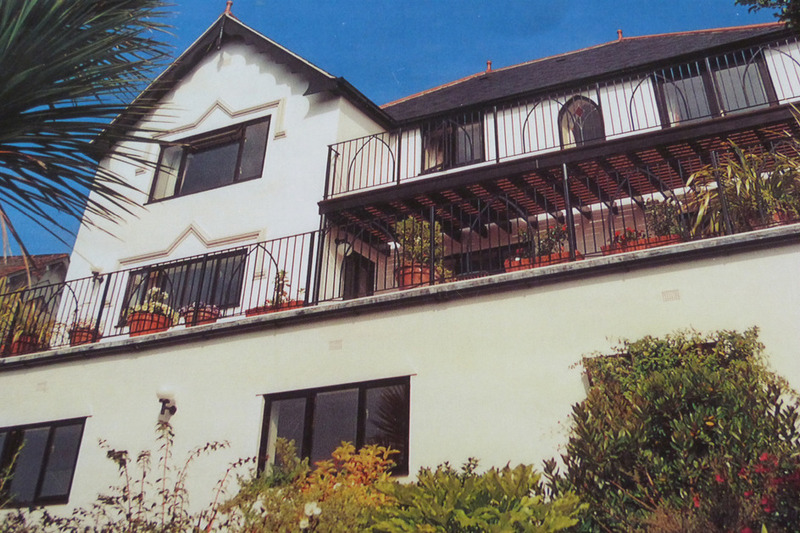 No expense has been spared on quality and luxury with the property, whilst still managing to offer value for money. Renewable energy sources in the form of two air source heat pumps and a complete rainwater harvesting system have been installed. 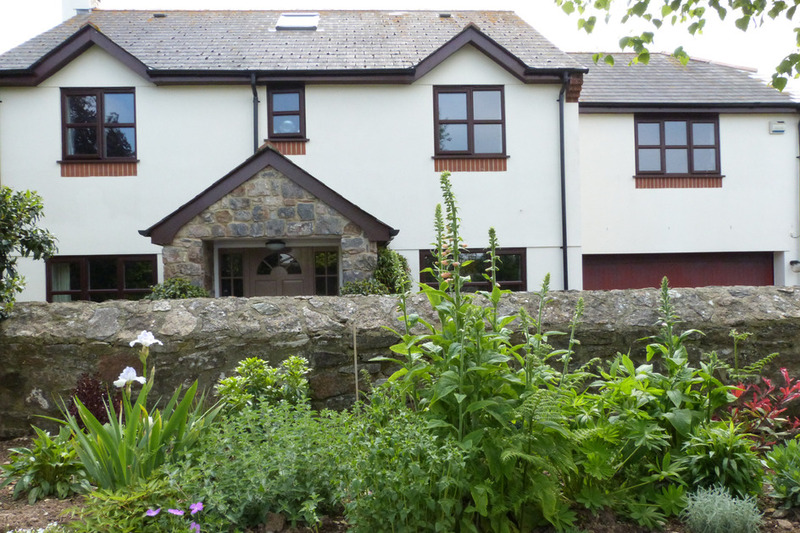 The air source heat pumps provide the house with the underfloor heating throughout the property and all the hot water. Harvested rainwater provides water for flushing of the toilets and for the supply of three exterior taps providing water for gardening purposes, car washing and general cleaning. 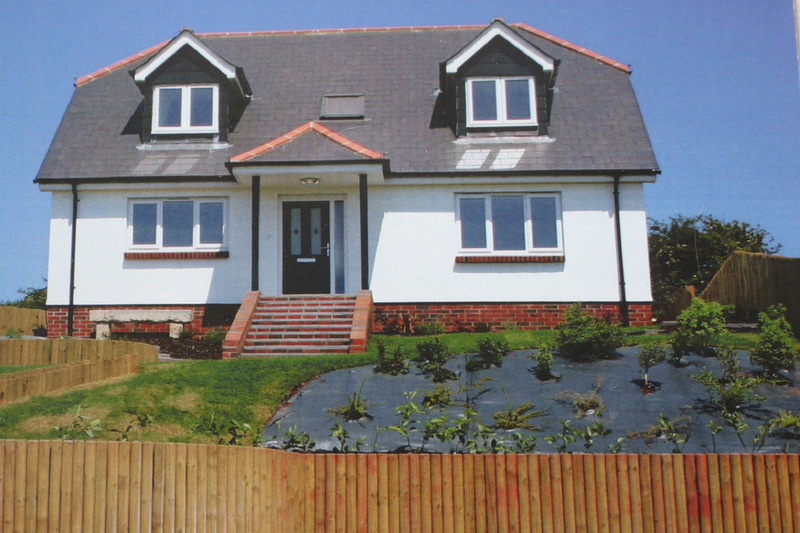 Landscaping was designed and completed in-house and is always an integral part of our new build properties. The existing mature trees and boundary hedging have been combined with many additional architectural plants and trees to form new flower beds and borders. Raised vegetable beds have been added and planted out on the rear terraces close to the kitchen utility. Completed in 2010 “Highfield” at Fluder Hill is a four bedroom chalet style bungalow with outstanding panoramic views of the moors and surrounding Kingskerswell countryside. 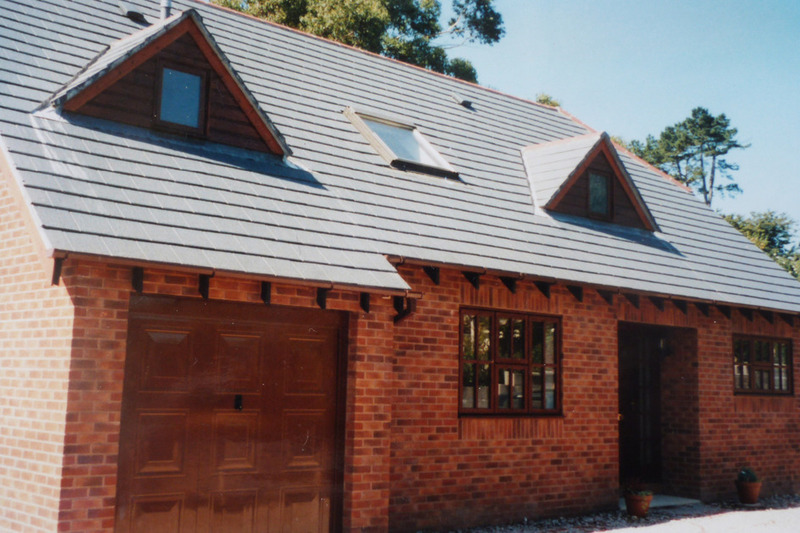 Traditionally constructed with a cut roof, the property has a paviored drive with off road parking for three/four vehicles and landscaped gardens to the front and rear with log and stone walling. 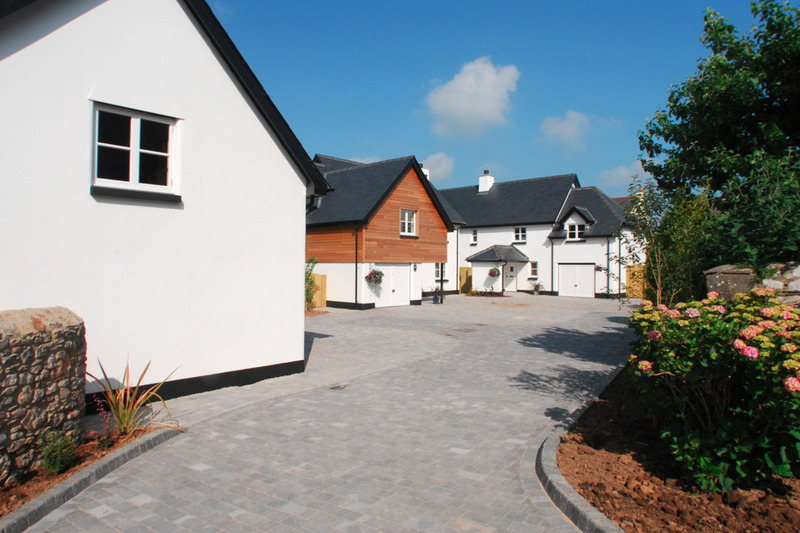 Award winning Southfield Court constructed in 2007/2008, is an exclusive development of three individual detached four bedroom homes set in the highly desirable location of Denbury, Nr Newton Abbot. The houses were designed and built with traditional character and features, beautifully combined with contemporary interiors all within a courtyard setting. Pavilion were awarded the Devon Building Control Partnership Quality and Sustainability Award 2008 for Best Small Multiple Housing project and were a finalist in the Local Authority Building Control (South West Regional Awards) for the Court Park development. Three bedroom detached chalet bungalow with large garage/workshop underneath. Extensive hard and soft landscaping. 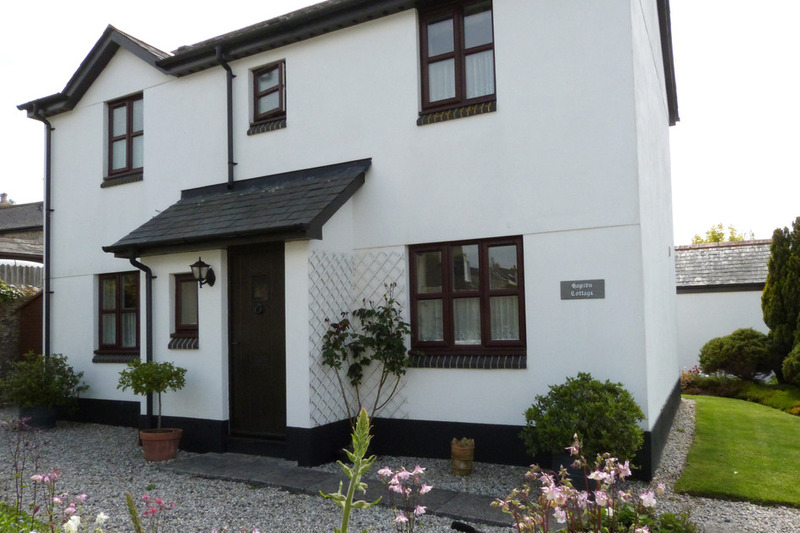 Hopton Cottage is a timber framed three bedroom detached house with garage and gardens, paviored and tarmac drives. Three storey four bedroom detached house with patio balconies and comprehensive terraced hard and soft landscaping. Large detached four bedroom property with later extensions to provide office and gym and new kitchen and conservatory. Stone walled garden, paviored drive and patio areas. Two three bedroom detached chalet bungalow style houses, brick built with garages, gardens and driveways.